This project was inspired by some portraits I found of families in the new housing tracts in southern California in the 1960’s. I was amazed at how different everything, absolutely everything, in each image was. The ordinary becoming extraordinary with the passage of time. 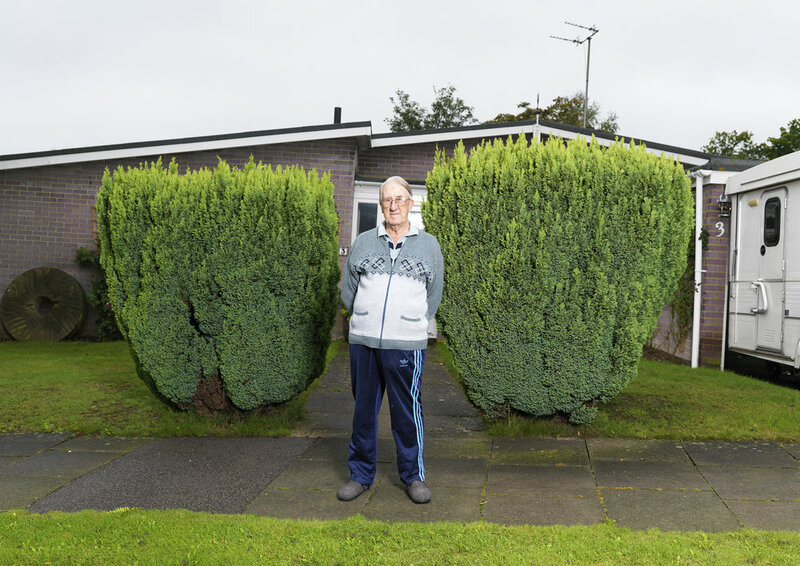 I wanted to make my own document of a fragment of time and place, I chose to document my neighbours. I created rules for the project. My aim was to make as pure a record as possible, with minimal direction or manipulation by me. Each neighbour would choose where the portrait was to be taken and I would capture the setting with basic lighting and post production. I invited each neighbour to include anything they thought represented them or told a story about their lives. Some did, some did not. Of 73 homes in my street 27 said yes. The following are their portraits.